Christmas music, a fire in the fireplace and finishing up the decor on one of the trees. but here's what I shared this week. My .50 thrift store finds... delightful! A little bit more about Moi as I was featured ' In the Bloglight' over at Hometalk.com. Okay~let's get onto the review and get the party started!! 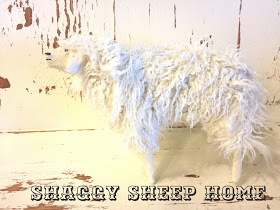 Super cute little shaggy sheep from Shaggy Sheep Home- she made this one- I adore it! 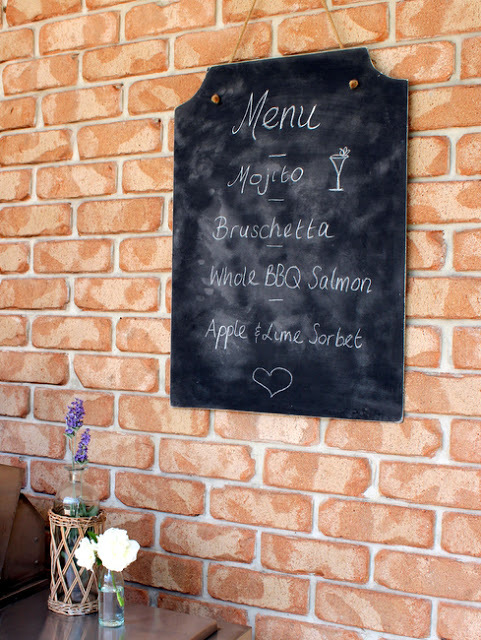 You know I love chalkboards ~ this one that Stylish Settings made is lovely! 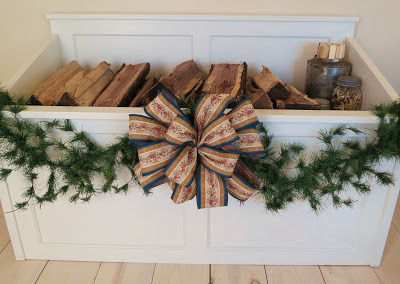 Mimi's Vintage Charm has a darling chest to hold wood for fire~ so simple, sweet and charming! 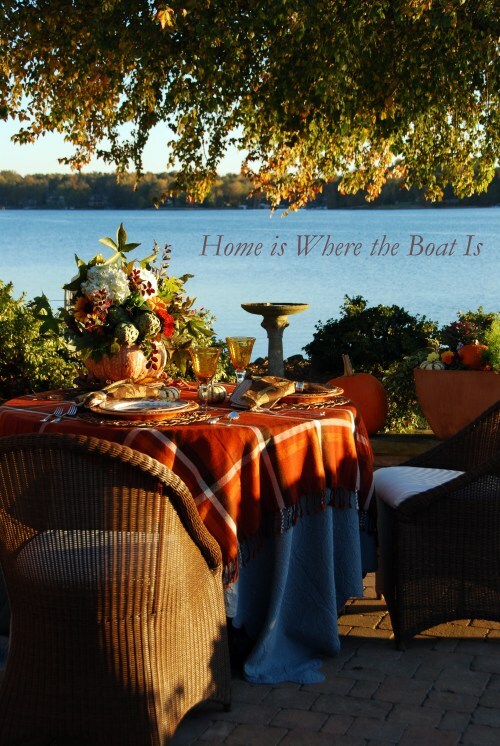 Home is Where the Boat is shared a beautiful Thanksgiving table setting. 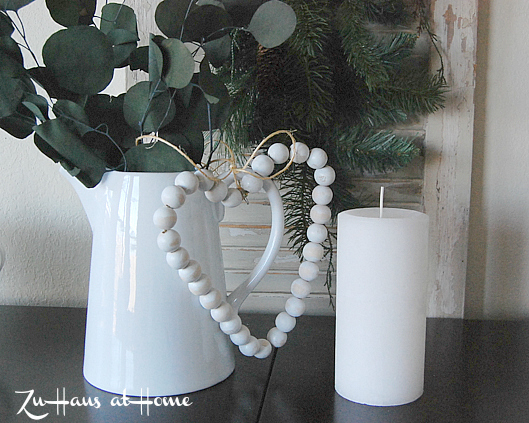 Zu Haus at Home shared this darling heart ornament~ love! 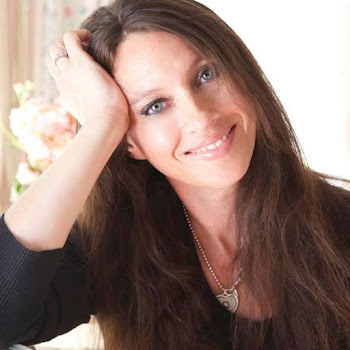 I loved reading your Q&A! It makes me feel better that your family doesn't read your blog, either :) Thanks for hosting, Courtney! Have a great weekend, and stay warm. Courtney, thank you for hosting and for featuring my heart ornament. So nice of you, I really appreciate it! What a great deal you got on that beautiful set! I love the edges! Thanks for hosting! LOL I have had serious stomach pain from laughing too hard at karaoke! Thanks so much for sharing my Thanksgiving table, I'm honored to be featured! Thanks for hosting! Courtney, thanks for hosting and have a great weekend. Reminder next week is your favorite room post. Hi Courtney! Thanks for hosting. 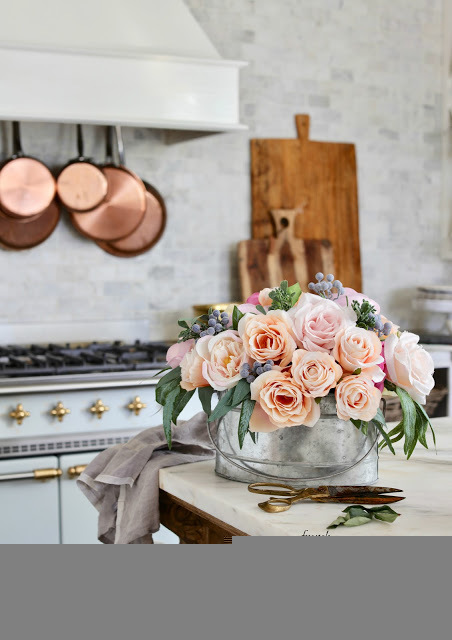 I always love joining your party...so much inspiration in one place! Great thrifty find, btw. I so very much enjoyed reading your Hometalk feature this morning. Yay!!! You are an inspiration. Have a great weekend. Thanks so much hosting Courtney, have a great weekend! Thanks for hosting, Courtney. I have to go check out your Q&A. I've been so busy, I missed it. Wonderful features, Courtney! Thanks so much for hosting. Have a great weekend! Looks like you've had lots of ups and one big down but I'm glad you're ok.
Hi Courtney! Oh, what a great party and thank you for hosting. Definitely a day to stay in and cozy up to some crafting! Thanks for hosting Courtney! Have a great weekend! Thanks so much for hosting and congrats on being featured over at Hometalk! Oh, I just love Solange's adorable little sheep! just linked up, thanks so much for hosting! Thank you for the party. Sorry you had a car break-in -- that's never fun. Congatulations, Courtney, I'm seeing you everywhere these days! Busy lady! Thanks so much for hosting! Hey, Courtney!! It's been awhile, but I'm back to link up with your wonderful Party!! I just Feathered my own nest a bit, I hope you like it!!! I hope you had a Wonderful Thanksgiving!! The Karaoke looked like loads of fun!! So many wonderful links this week! Thanks for hosting such a great event. I enjoyed your interview-good for you! Thanks so much for hosting us Courtney! Hope you have a fantastic weekend! Thanks for hosting Courtney and congrats on the feature. Hi, Courtney! So very glad I'm able to party with you this week. Thank you! 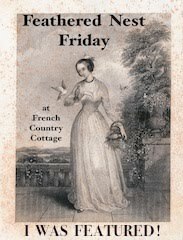 Thank you so much for hosting the party--the features are lovely! Sorry to hear your car was broken into, but glad at least that you are okay. Also glad to hear that you went to the opera and had a fun Thanksgiving, as well as a feature on Hometalk--well done! Amazing link party, thanks for hosting! 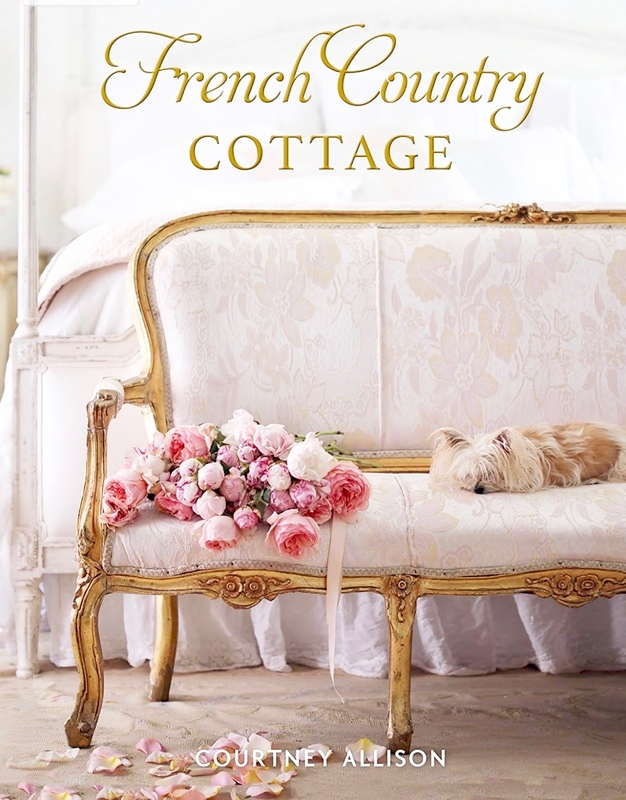 Courtney Im so thrilled to be here patrying with you all and thanks so much for hosting! Courtney, it's fun getting a look at all the "best of's" you picked out. Thanks so much for throwing the party for us each week! Courtney.. It's been a long time since I've linked up! Really proud to see over 300! amazing. Good to 'see' you!! xoxo Jeanne. So many great entries....how am I supposed to ever get any work done? Thanks for hosting Courtney, and have a great weekend! 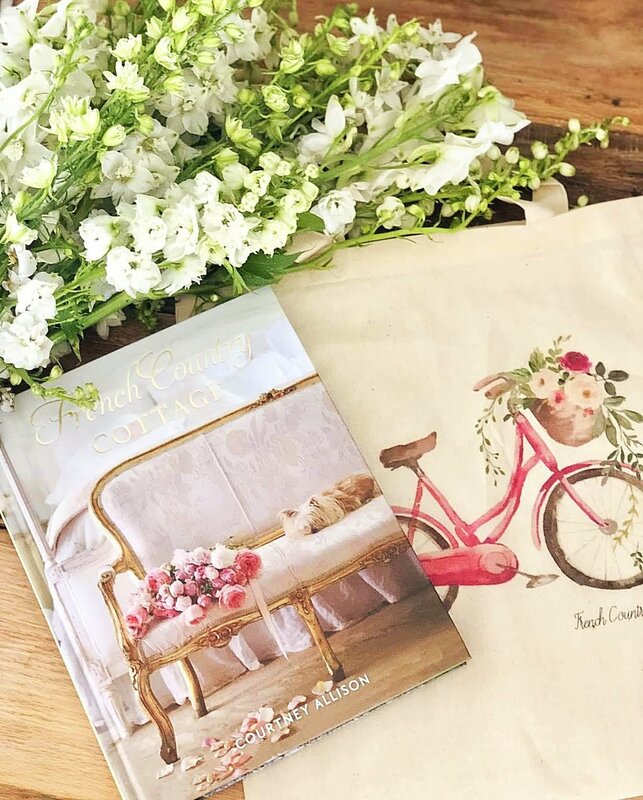 So many beautiful blogs to explore. Thank you for hosting another great party for us to show off on Friday! We appreciate all your work. Thank you Courney for hosting! Exciting to see the creativity of so many!